Sometimes it pays to be an outsider. Studio Shelf, a South African design firm, literally moved its office outside in an effort to see how design connected with the real world. 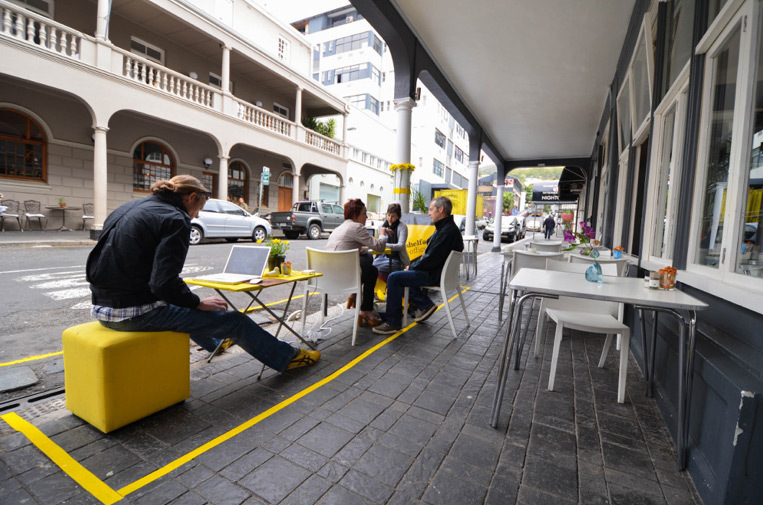 Once a month, the firm tapes off a section of sidewalk on a Cape Town street and puts its designers amongst the people — where design collides with those it serves. We strongly believe that designers have the ability to solve problems, but too rarely engage with public space and communities. The key here is "engage with public space and communities." Do we do that in health care? To fully understand the "patient experience," we have to listen to our patients — and their families. While all of us who work in health care have experience as patients, we still go through that experience as "insiders." It's time to step outside, listen to our real patients and families and embrace their views, wants and desires in the services we develop and the way we communicate. When we do so, we will have an activated patient population who truly will be engaged in their own care.